My second novella’s out, and it’s way different to the first. 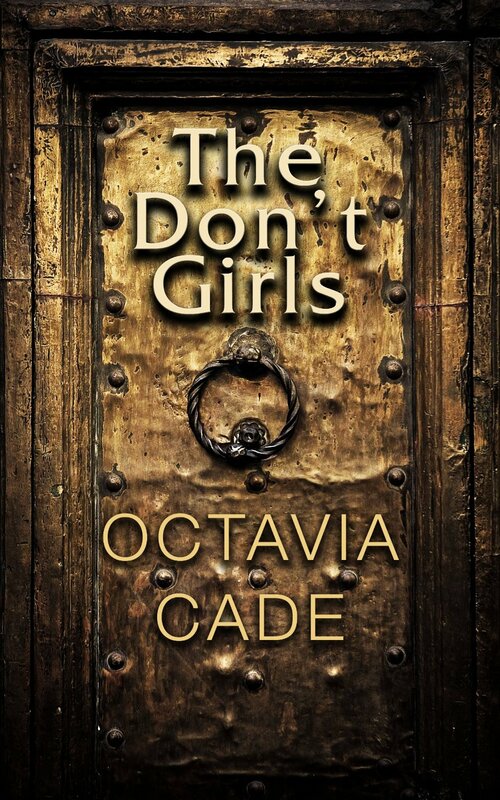 I suppose you’d call The Don’t Girls urban fantasy, with a feminist bent. It started out as a short story (now the first chapter), wherein Bluebeard’s wife met up with Pandora and her box, and decided to take care of her murderous husband before he did to her what he’d done to all his previous wives. And this was all well and good, but then I gave it to my sister to read. She liked it – not surprising, our tastes are quite similar – but then she said “OJ, it reads like it should be longer.” And I thought bugger it, because I thought it was done and over with and maybe it wasn’t. So, obliging girl that I am, I started writing. I had no clue as to story, and nothing was written in order. Instead the fragments came together on their own, and they did so very easily – as if I’d already decided what I was going to say. There was Anne of Cleves, for instance, fitting in like she was made for the story, as if I hadn’t started scaffolding around her in a quest to build a story of, well, something anyway. All I knew was that The Don’t Girls was going to be about women. Some were historical (Anne, Ada Wilson, Mary Prince, Nell Gwynn, Edith Cavell). Others came out of story (Bluebeard’s wife, Pandora, Mab the Queen of Fairies) and one was entirely made up because she came from the future and, unlike Pandora, I don’t have a magical time-tripping box.